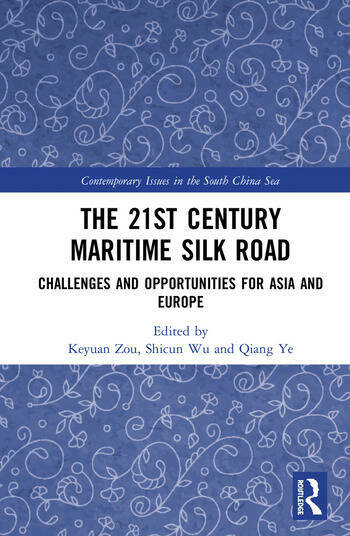 This book explores the opportunities and challenges that both Europe and Asia face under the framework of the 21st Century Maritime Silk Road Initiative. The 21st Century Maritime Silk Road Initiative (MSR Initiative), put forward by the Chinese government together with the Silk Road Economic Belt, reflects China’s ambition and vision to shape the global economic and political order. The first step and priority under the MSR Initiative, according to documents issued by China, is to build three ‘Blue Economic Passages’ linking China with the rest of the world at sea, two of which will connect China with Europe. This initiative, however, still faces enormous challenges of geopolitical suspicion and security risks. This book seeks to assess these risks and their causes for the cooperation between the Eurasian countries under the framework of MSR and puts forward suggestions to deal with these risks in the interdisciplinary perspectives of international relations and international law. Featuring a global team of contributors, this book will be of much interest to students of Asian politics, maritime security, international law and international relations. Keyuan Zou is Harris Professor of International Law at the Lancashire Law School and Director of the Institute for International and Comparative Law, University of Central Lancashire, UK. Shicun Wu is President of China’s National Institute for South China Sea Studies, and a deputy director of the Collaborative Innovation Centre of South China Sea Studies, Nanjing University, China. Qiang Ye is Research Associate, National Institute for South China Sea Studies, China. Currently, he is a PhD candidate at Lancashire Law School, University of Central Lancashire, UK.